The International Fund for Agricultural Development (IFAD) and leading global consumer goods company Unilever have created a public-private partnership aimed at helping to improve the livelihoods of smallholder farmers around the world. The International Fund for Agricultural Development (IFAD) and Unilever are working together on a new public-private partnership. The 5 year global agreement – the first of its kind by IFAD with the private sector – seeks to improve food security through: raising agricultural productivity; linking farmers to markets; reducing risk and vulnerability; improving non-farm rural employment; and making agriculture more sustainable. Scoping exercises have already begun looking at ways to leverage IFAD’s knowledge and expertise in working with small-scale farmers and rural enterprises with Unilever’s ability to integrate farmers into markets and its expertise in sustainable agriculture. These have included a joint field mission to review an IFAD-supported project in the Vidarbha region of Maharashtra, Western India in January 2014, focused on spices and onions. Both IFAD and Unilever have similar geographic footprints and countries– like China, India and Indonesia - that are key to development and growth. Both organizations are guided by similar principles and shared aims and commitments to improving livelihoods of smallholder farmers and eradicating poverty. Unilever PLC is a British–Dutch multinational consumer goods company. Its products include foods, beverages, cleaning agents and personal care products. Unilever owns over 400 brands, amongst the largest selling of which are Aviance, Axe/Lynx, Ben & Jerry's, Dove, Flora/Becel, Heartbrand, Hellmann's, Knorr, Lipton, Lux/Radox, Omo/Surf, Rexona/Sure, Sunsilk, Toni & Guy, TRESemmé, VO5 and Wish-Bone. 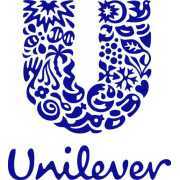 Unilever PLC had a market capitalisation of £27.3 billion as of 23 December 2011, the 18th-largest of any company with a primary listing on the London Stock Exchange. The company’s products are sold in more than 190 countries with 2 billion consumers worldwide. More than 171,000 employees work for Unilever. The Unilever Foundation is dedicated to improving quality of life through the provision of hygiene, sanitation, access to clean drinking water, basic nutrition and enhancing self-esteem. At Unilever, we aim to double the size of our business while reducing our environmental impact and delivering increased social value. The Unilever Foundation is a key action we are taking to help meet our ambitious goal of helping more than one billion people improve their health and well-being and, in turn, create a sustainable future - a core commitment of the Unilever Sustainable Living Plan. The Foundation is partnering with five leading global organisations – Oxfam, PSI, Save the Children, UNICEF, and the World Food Programme. By working together, we will be able to expand the delivery of life-saving solutions to drive systemic and scalable social change. Additionally, these five global partners will serve as our primary beneficiaries in times of disaster and emergency relief so that we are able to provide critical resources expeditiously when there is the greatest need and on longer term projects to help rebuild communities. The Unilever Foundation is taking a targeted approach to its social investments by focusing our support on these critical issues in order to create the type of change that is needed to improve the quality of people’s lives. While we decided to concentrate our resources on five global partnerships, we recognise that other individual countries have social investment needs based on their unique circumstances. Therefore, the Unilever Foundation is also supporting other organisations in over 50 countries by providing direct funding, expertise, products, and employee support to help address country-specific needs primarily aligned with the Foundation’s mission. Through low-interest loans and grants, IFAD works with governments to develop and finance programmes and projects that enable rural poor people to overcome poverty themselves. Since starting operations in 1978, IFAD has invested US$12.0 billion in 860 projects and programmes that have reached some 370 million poor rural people. Governments and other financing sources in recipient countries, including project participants, contributed US$10.8 billion, and multilateral, bilateral and other donors provided approximately another US$8.8 billion in cofinancing. This represents a total investment of about US$19.6 billion. The Fund has designed and implemented projects in very different natural, socio-economic and cultural environments. Many IFAD-supported programmes have been in remote areas. In addition, its local-level operations in 117 countries and territories keep IFAD in continuous and direct contact with the rural poor. To build broad local ownership of the programmes it sponsors, IFAD works in partnership with others – borrowing-country governments, poor rural people and their organizations, and other donor agencies. Its focus on local development has given it a role in bridging the gap between multilateral and bilateral donors on the one side, and civil society represented by NGOs and community-based organizations (CBOs) on the other. The Consultation on the Ninth Replenishment of IFAD’s Resources agreed to a target of US$1.5 billion in new contributions to finance agriculture and rural development projects across the developing world. This represents a 25 per cent increase over IFAD’s Eighth Replenishment. In addition to the new funds, Member States mandated IFAD to find new sources of finance that share the development burden more broadly, including raising investment from nonmembers and others. The injection of new funds from Member States is a confirmation of our vital role as an effective organization delivering results in the area of food and income security, especially for the poorest people. Forty to fifty per cent of these resources will be channelled to sub-Saharan Africa for development projects.